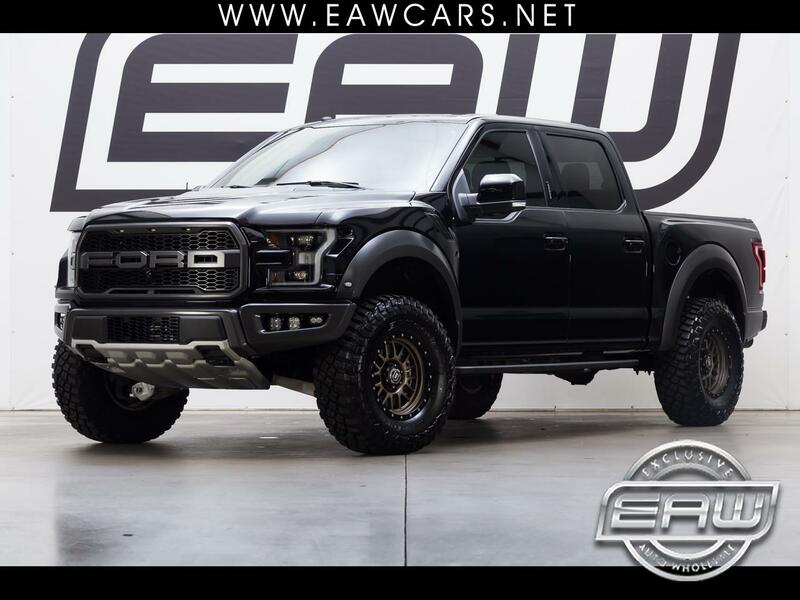 $82,043 MSRP, BORLA S-TYPE PERFORMANCE EXHAUST, ICON 17'' ALPHA BRONZE WHEELS, BFG M/T KM3 TIRES, CARBON TRIM, ROUSH COLD AIR INTAKE, ULTRA FLEX BED COVER, CQUARTZ CERAMIC COATING, TINTED WINDOWS AND WINDSHIELD, RECENT SYNTH OIL CHANGE, BAJA DESIGNS FOG POCKET KIT, 2 SQUADRON PROS, 2 SQUADRON RACERS, 2 S2 PROS, RPG UP RAPTOR ADJUSTABLE SPRING PERCH COLLAR, ADJUSTS LOWER SPRING PERCH UP AND CAN MOVE RIDE HEIGHT FROM 1'' TO 3.5'' IN .5'' INCREMENTS. DROOP AND BUMP TRAVEL ARE NOT EFFECTED. RAPTOR TECHNOLOGY PACKAGE, HEATED AND AIR CONDITIONED SEATS, SECOND ROW HEATED SEATS, HEATED STEERING WHEEL, SPRAY IN BEDLINER FROM FACTORY, 360 DEGREE BACKUP CAMERA, INTEGRATED BRAKE CONTROLLER, 10 SPEED ECOBOOST 3.5L V6 TURBOCHARGED ENGINE, PANO ROOF, RUNNING BOARDS, GRAPHICS DELETE, FOX SHOCKS, NAVIGATION, THIS IS AS GOOD AS IT GET FOLKS!!!! BOTH KEYS AND BOOKS, CLEAN CARFAX, FACTORY WARRANTY, TRADED IN HERE AT EAW BY A VERY CLOSE FRIEND OF OURS WHO TOOK EXCELLENT CARE OF THIS TRUCK, DEALER SERVICED, WELL MAINTAINED REGULAR OIL CHANGE BADGE OF HONOR FROM CARFAX.